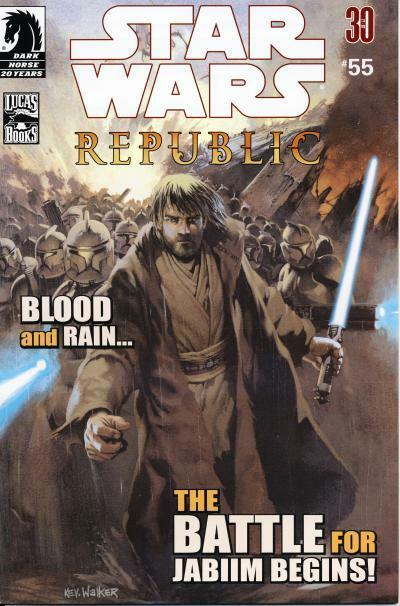 In 2006, Dark Horse shakes up their Star Wars comic line by ending both Star Wars: Republic and Star Wars: Empire and replacing them with four new titles: Star Wars: Knights of the Old Republic, Star Wars: Rebellion, Star Wars: Legacy, and Star Wars: Dark Times. 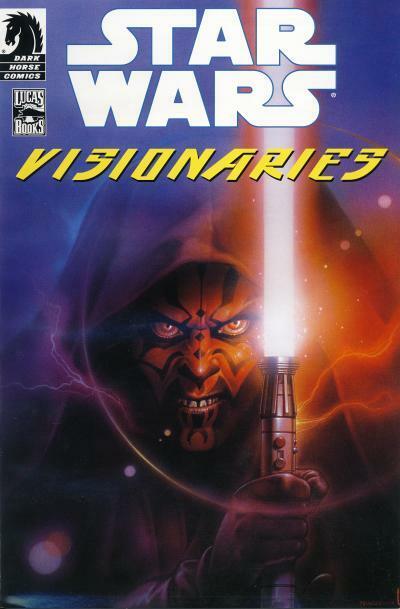 The first of these new titles is Star Wars: Knights of the Old Republic which debuts in January 2006. 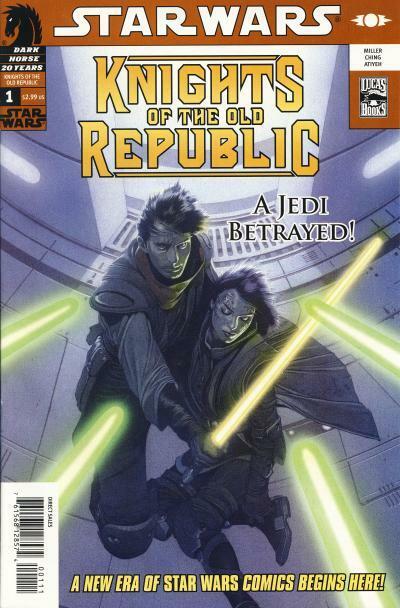 The series takes place close to the time of the Star Wars: Knights of the Old Republic video game. 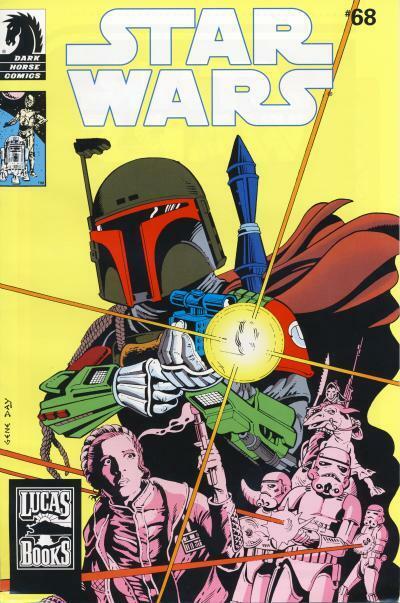 No doubt due to the popularity of the game, the comic series uses the same title. 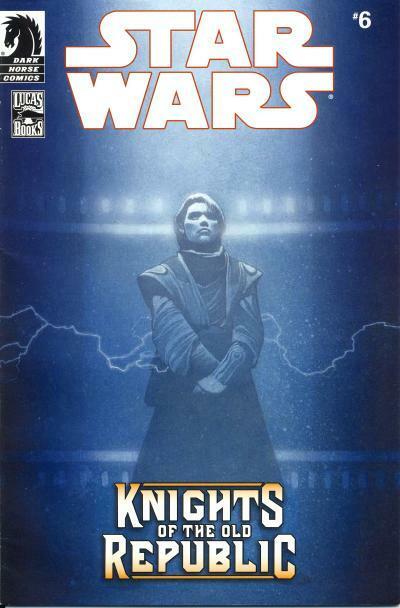 Star Wars: Knights of the Old Republic #1 is the first part of a 6-part story titled Commencement. 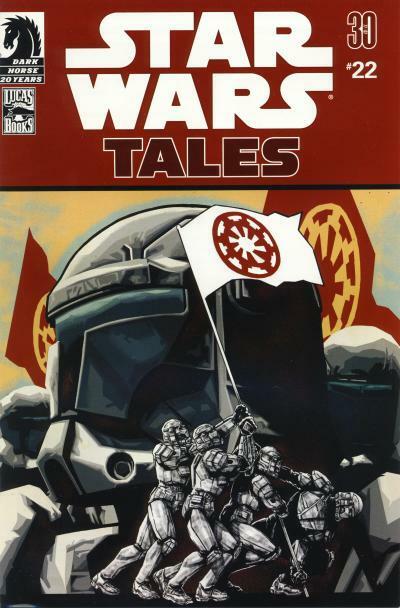 The tale sets up the initial status quo for the series with Jedi Padawan Zayne Carrick on the run and framed for the murder of his fellow Padawans. 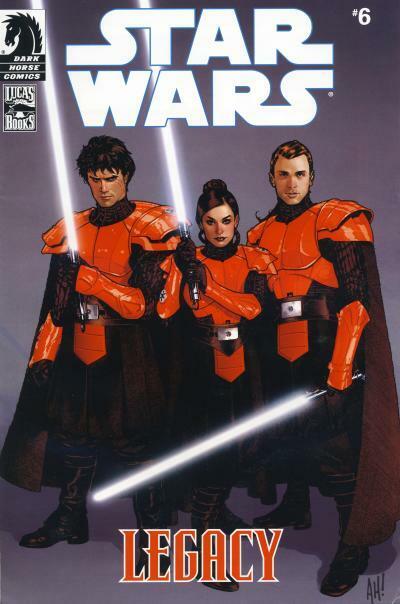 The Jedi Masters, members of the Jedi Covenant, had a premonition about one of their Padawans becoming a Sith Lord and murder their students to prevent this from happening, but Zayne manages to escape. 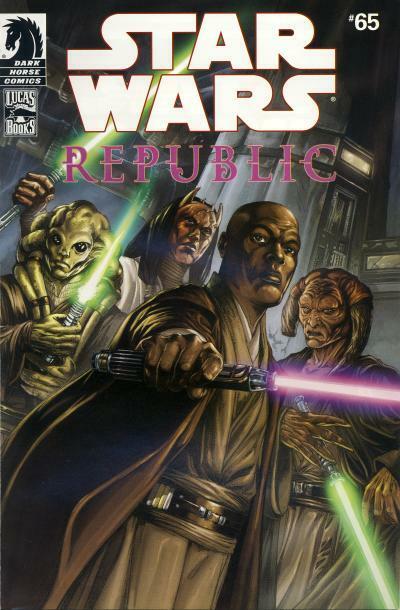 Zayne is joined by Gryph, Jarael, and Camper as he sets out to take revenge on the Jedi Covenant and clear his name. 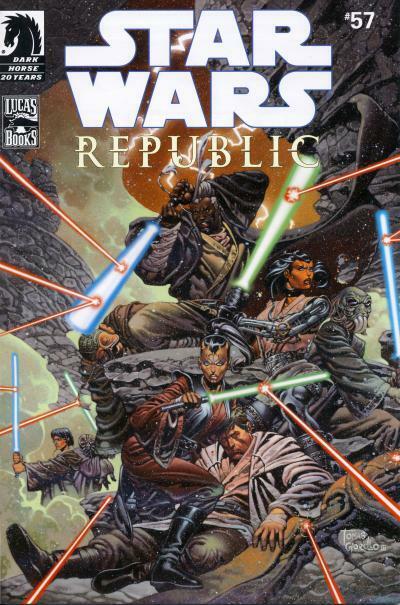 The cover shows Zayne Carrick cradling the body of a fallen Padawan, while the Jedi Masters advance on him with their lightsabers drawn. The fourth Star Wars preview comic from Marvel is the Star Wars Free Previews from June 2016. 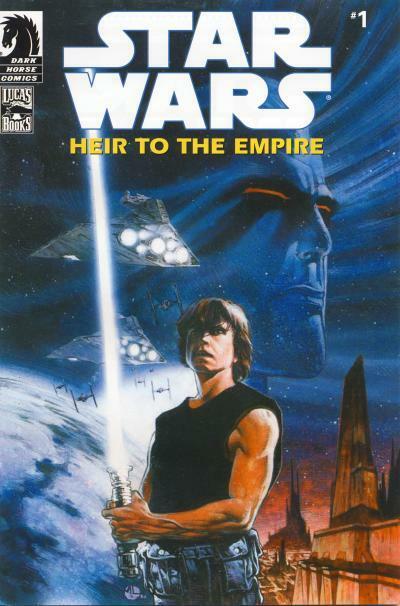 The cover uses the same layout and verbiage as the Star Wars Movie Sampler from December 2015; the star-filled background is dark blue instead of black and the art used in the 3 boxes is different. 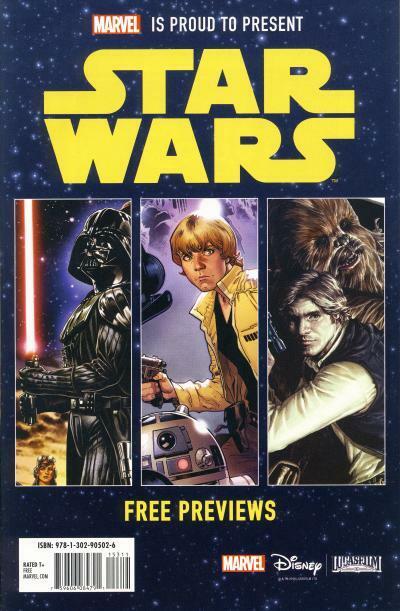 Star Wars Free Previews is 32-pages and contains previews of the following comics: Star Wars volume 2: Showdown on the Smuggler's Moon trade paperback, Darth Vader #1: Shadows and Secrets trade paperback, Star Wars: Vader Down trade paperback, Star Wars: Poe Dameron volume 1: Black Squadron trade paperback, Star Wars: Obi-Wan and Anakin trade paperback, Star Wars: Chewbacca trade paperback, and Star Wars: Han Solo #1. 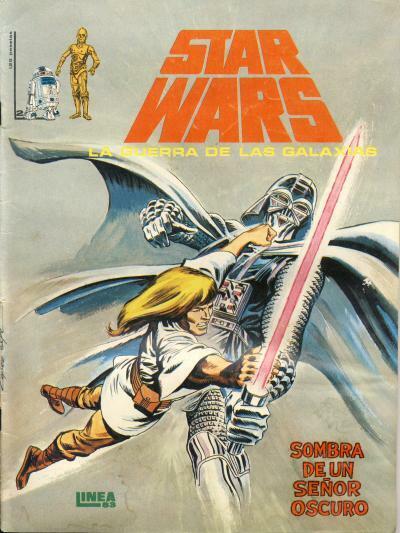 Like the previous preview comics, this comic was given away to promote Marvel's Star Wars line. Unlike most comics, this issue has an ISBN printed in the UPC box and it was most likely given away at bookstores. Barnes and Nobles had a Get Pop-Cultured month long celebration from July 6th to August 7th which included a Star Wars Saturday on July 18th, 2016. I believe these comics were meant to be given away on that day, but I cannot be certain. If anyone has knowledge on how these comics were distributed, can you please let me know so I can update the information in this posting. 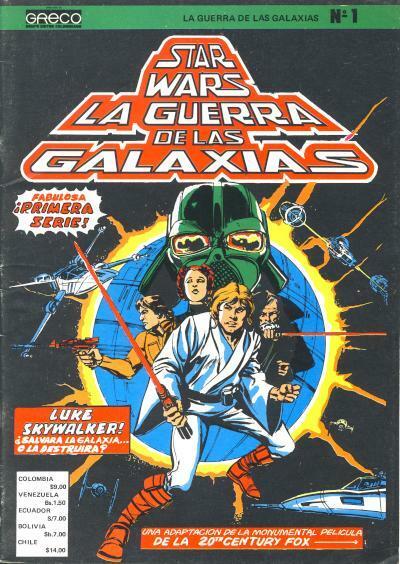 There are two versions of the Star Wars: la Guerra de las Galaxias comic collection published by Ediciones Surco. In an earlier posting, I showed one version of the collection. This collection consists of the first 5 issues, including covers, wrapped in an outer cover. 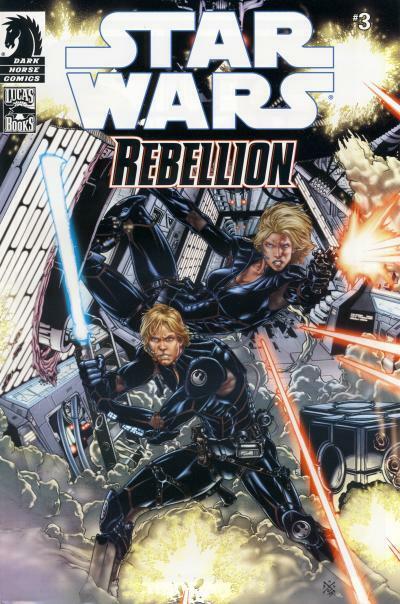 The outer cover has the same art as issue #2 of the series. The second version of the collection also contains the first 5 issues, but without covers, also wrapped in an outer cover. Whether the covers were removed prior to the bundling or they never had covers is not clear. 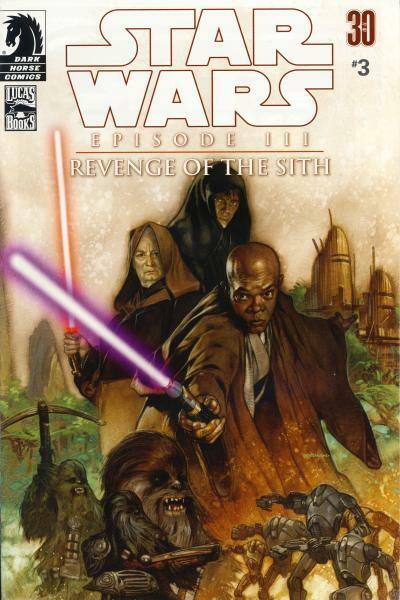 This second collection has the same cover art as issue #3 of the series. 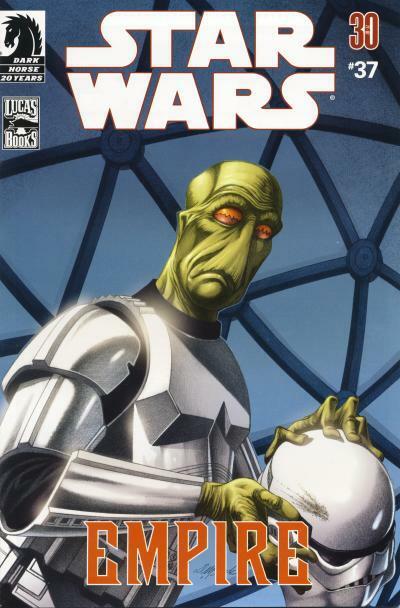 In addition to the collection outer cover containing a black star-filled background, the C-3PO and R2-D2 corner characters are removed and the logo is different. 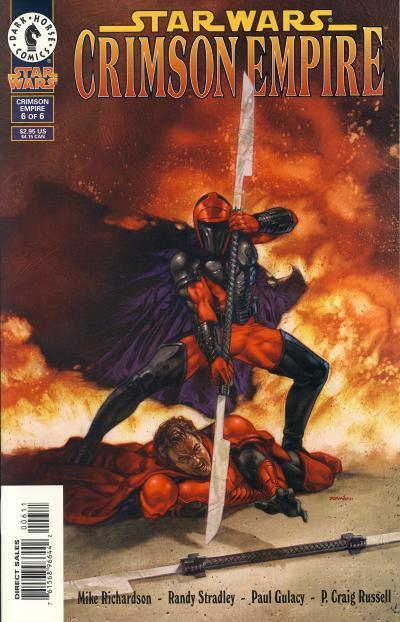 The logo used is the logo that began with issue #6 of the series. 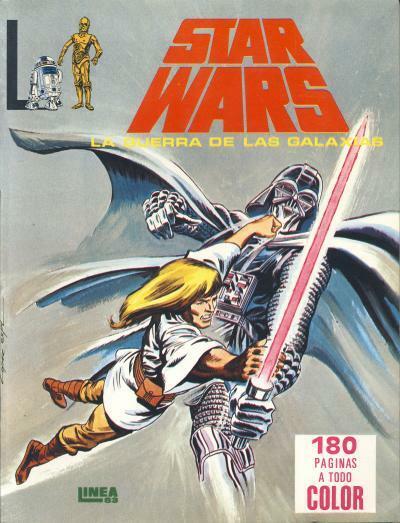 The difference with the logo on this second collection and the logo used on issues #6 - 8 is the title is just Star Wars, and the Spanish translation, la Guerra de las Galaxias, is de-emphasized and shown elsewhere on the cover. I believe this second version of the collection was packaged after the first version and most likely after the series ended. The lead story in this digest-sized Indonesian comic features Storm and Black Panther and is titled Balas Dendam or Revenge. The cover is from Spider-Woman #26. 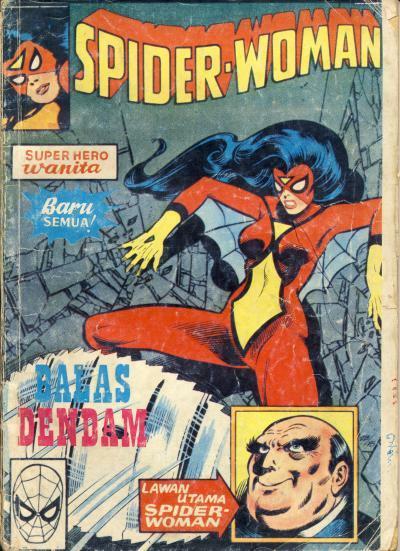 Despite what the cover shows, Spider-Woman does not appear in the story although there is another female superhero, presumably the Wanita character mentioned on the cover. 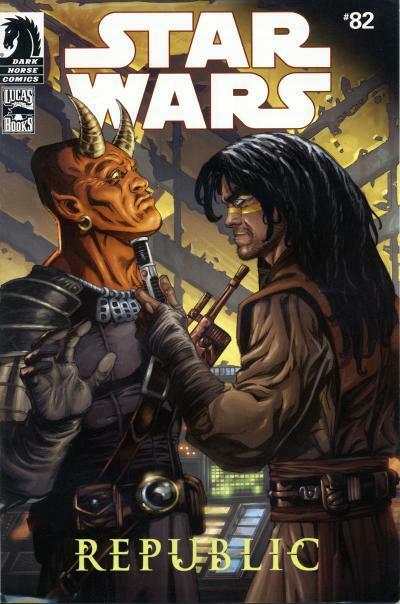 The last story in this comic is a Star Wars tale titled Satelit Penghisap or Satellite MacGregor. It is the same content from the comic with the story's title. 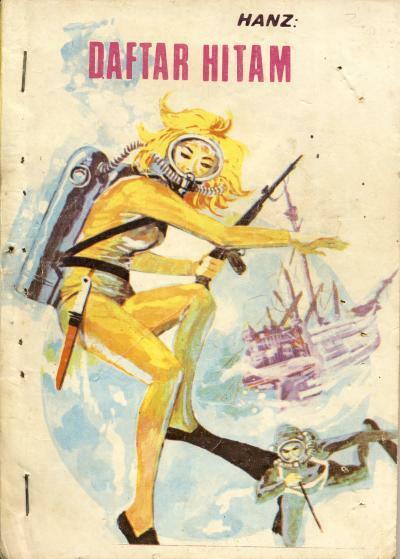 Hanz: Daftar Hitam or Hanz: Black List is a digest-sized Indonesia comic containing a non-Star Wars lead story titled Si Ikan Duyung: Yang Penuh Ambisi (Daftar Hitam) or The Mermaid: Full of Ambition (Black List). 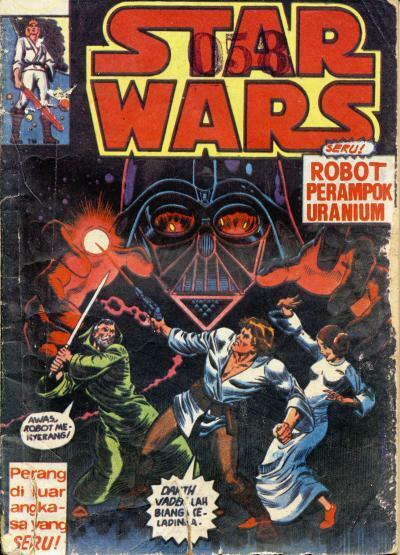 The last story in this comic is a Star Wars tale titled Robot Perampok Uranium or Robot Robbers Uranium. It is the same content from the comic with the story's title. The lead story in this digest-sized Indonesian comic features Tarzan and is titled Elang Maut or Eagles of Death. The backup story is the Star Wars tale Manusia Lumpur (Lanjutan Dari "Lumpur Galaxy") or Human Sludge (Continued From "The Mud Of the Galaxy"). It appears to be an ongoing serial and the last panel on the last page says Pembajak Pikiran & Alderaan or Pirate Minds & Alderaan which might be the title of the next chapter. Both stories have a box on the first page which is like an abbreviated indicia which says when the story was registered. The Tarzan story was registered on 20-2-1981 and the Star Wars story was registered on 15-10-1980. 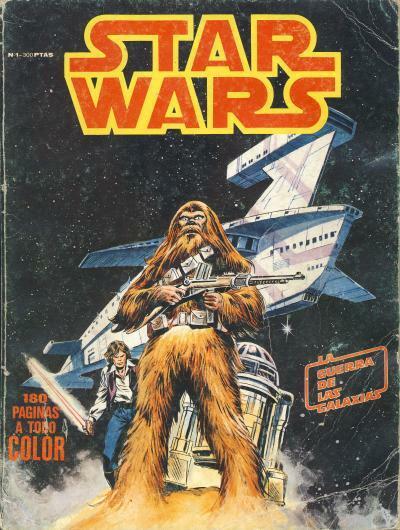 I have seen these boxes in other Indonesia Star Wars comics, but because of the different dates for the stories inside, it is hard to say exactly when these comics were published. Like the other Indonesian comics I have show, it was most likely published sometime in the early 1980s. 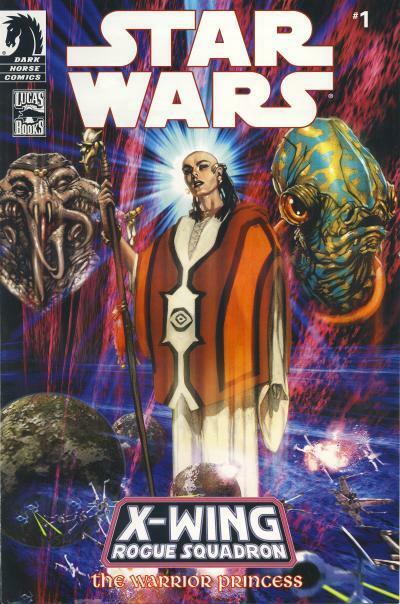 I have not seen this particular Star Wars story in another Indonesian comic and the implication that it is just one chapter in an ongoing series has me excited to track down other issues. 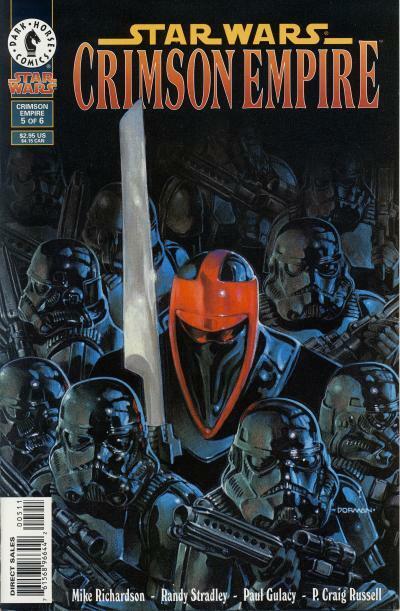 The Emperor's Royal Guard, introduced in the Return of the Jedi, are the personal bodyguards of Emperor Palpatine. Clad from head to toe in crimson red, these silent sentinels are armed with a force pike and invoke fear in anyone who takes audience with the Emperor. 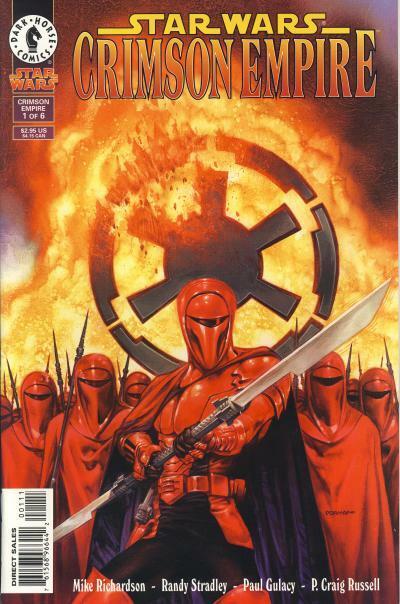 They are chosen from the top Imperial soldiers and Royal Guards are fiercely loyal to the Emperor. 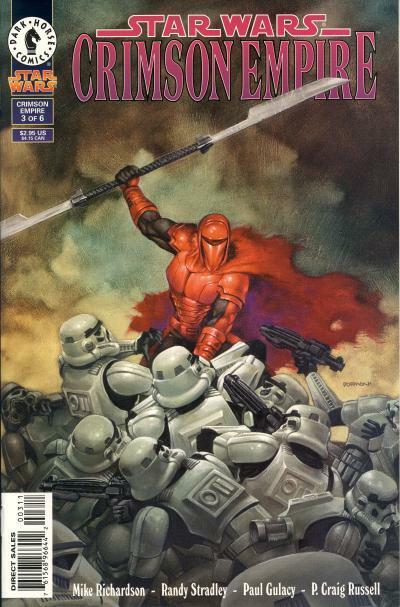 Dark Horse explored the Royal Guard in a 6-part mini-series titled Star Wars: Crimson Empire. 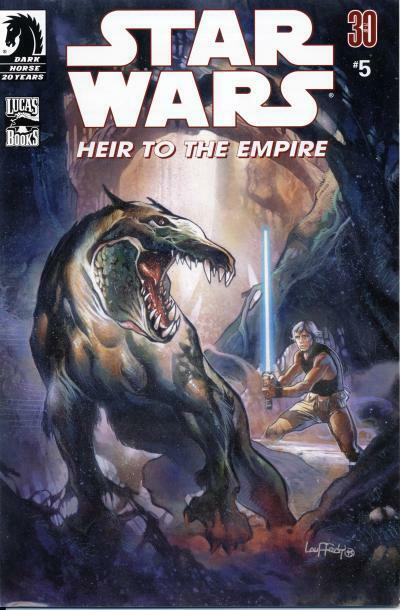 The story takes place after the death of Emperor Palpatine's clone and pits Carnor Jax and Kir Kanos, two former Royal Guards, against each other. Carnor Jax, a traitor to the Emperor and the Royal Guard, leads the remnants of the Imperial forces. Kir Kanos is the sole surviving Royal Guard who vows to take revenge on Carnor Jax for betraying the Emperor as well as his fellow guardsmen. 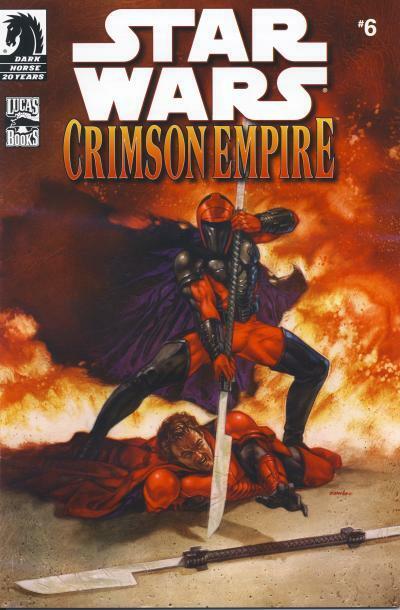 The painted covers for Crimson Empire are by artist Dave Dorman. 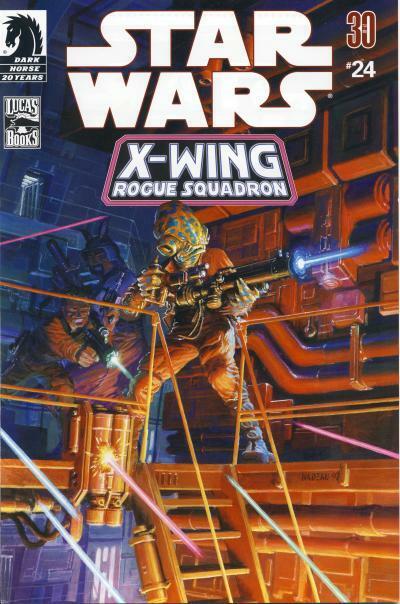 Dorman is best known for his Star Wars artwork and has created a large amount of covers for Dark Horse's Star Wars line. 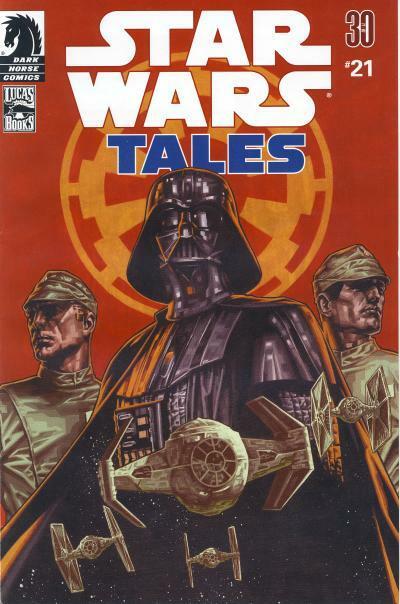 Even though the Darth Vader title is ending with the double-sized issue #25, Marvel is going back to print for the first four issues of the 6-part End of Games story in Darth Vader #20 - 23. 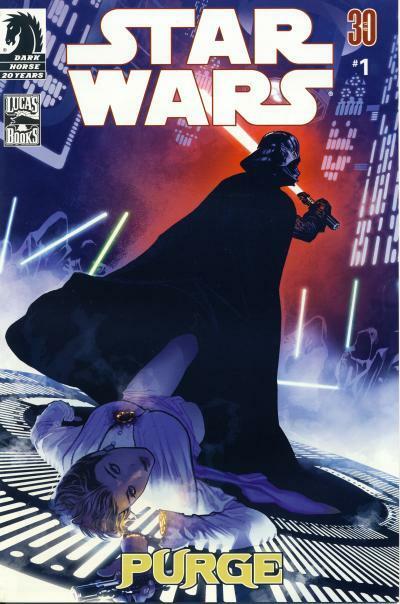 Darth Vader has consistently been one of Marvel's better selling ongoing titles but the title is coming to an end because the writer, Kieron Gillen, is finished with the story he wanted to tell. 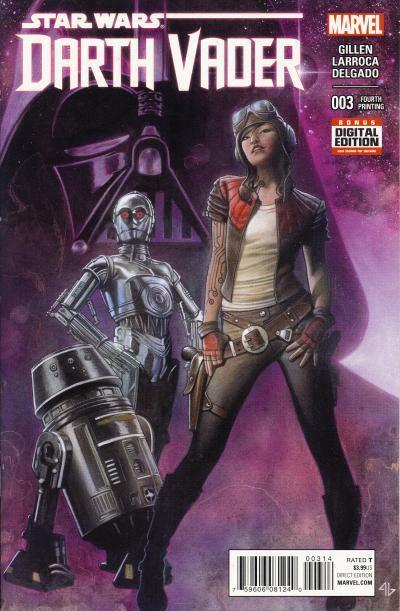 Undoubtedly the breakout character from Marvel's Star Wars line, Doctor Aphra was introduced in Darth Vader #3 and has gone on to serve as a pivotal character in several major story lines including Vader Down and Rebel Jail. Doctor Aphra, a female human and rogue archaeologist, was sought out by Darth Vader for her skills in acquiring lost weaponry. 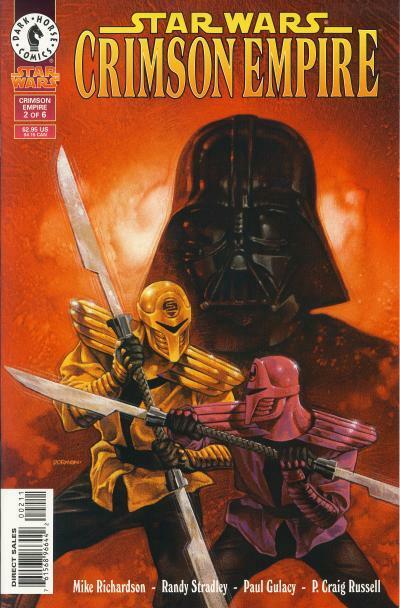 Darth Vader #3 has one variant cover by artist Salvador Larroca. This variant cover is a 1:25 retailer incentive. 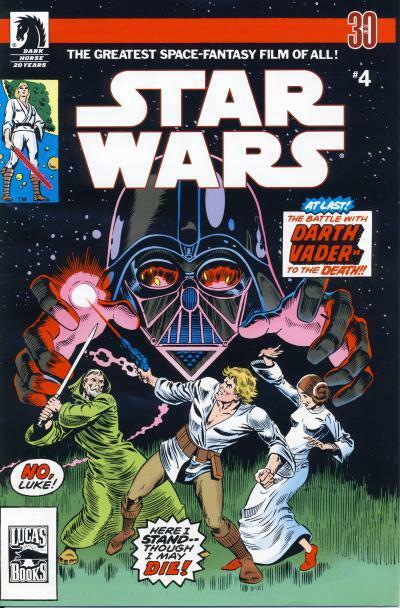 Like many of the early issues in the Darth Vader title, issue #3 has gone back to print several times. To distinguish the different printings, and to sell more copies to collectors, Marvel used different colors on the covers. 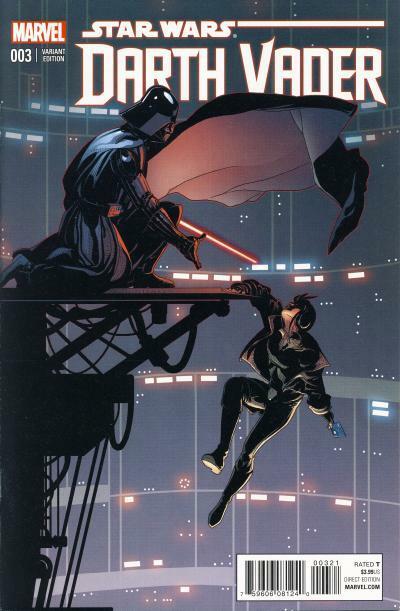 With the Darth Vader title ending with issue #25, the fate of this character is unknown. If she survives the final issue, there is more than one fan who would like to see her continue to appear in future Star Wars comics. 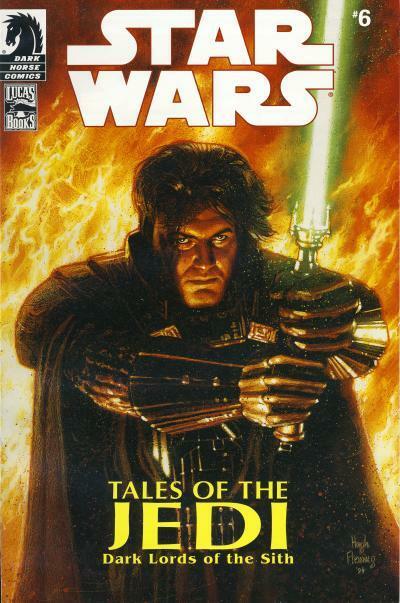 The Comics Chronicles released the June 2016 estimated sales last month. Despite very strong sales from DC's rebirth titles and the start of Marvel's Civil War II crossover event, sales for the Star Wars titles held up very well. The only casualties of the strong superhero sales are the Star Wars titles' positions on the top 300 chart. June was a very good month, thanks to the new Han Solo title, with overall Star Wars sales of over half a million units. 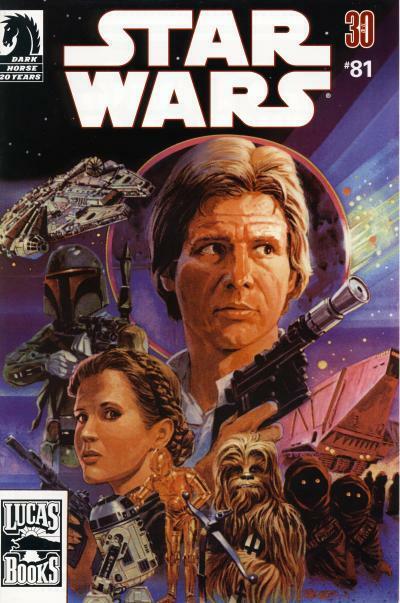 The main Star Wars title saw a negligible increase in units sold. 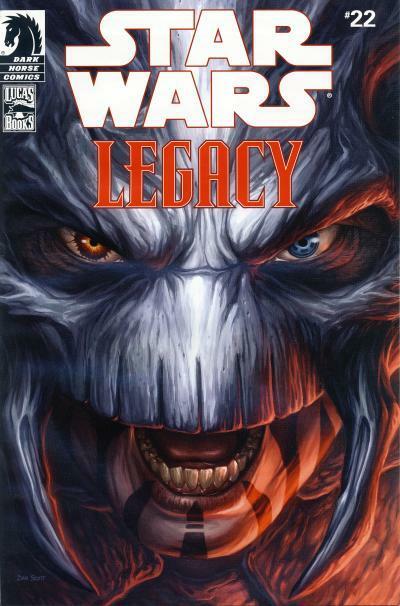 The bump Darth Vader saw last month with issue #20 has disappeared with less than 800 units separating the initial sales for Darth Vader #22 from Darth Vader #19. 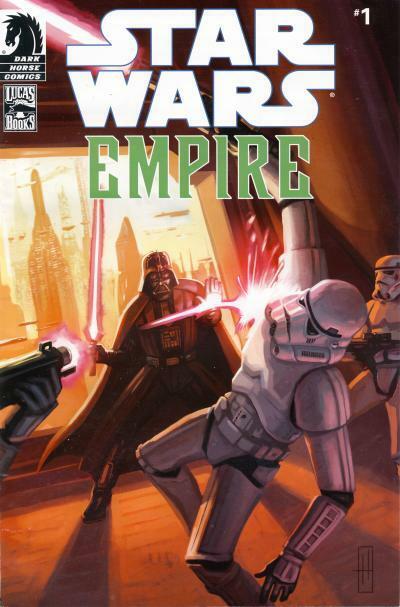 Both Star Wars and Darth Vader have fallen out of the top 10 comics for June. The other ongoing title, Poe Dameron, had a less severe drop from last month, only losing 11.71% of unit sales. 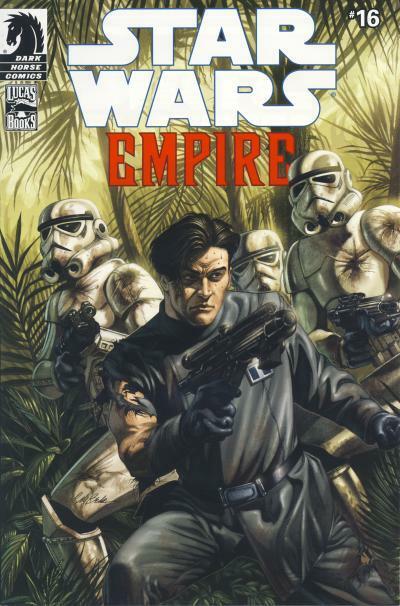 Poe Dameron #3 sold approximately 4,500 more units than Kanan #3. 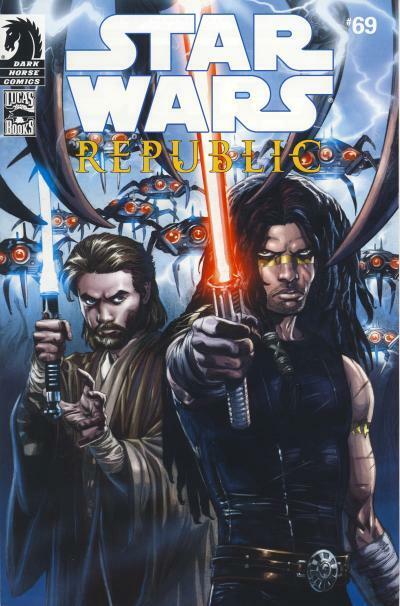 Kanan continued to see decent drops until the fifth issue. 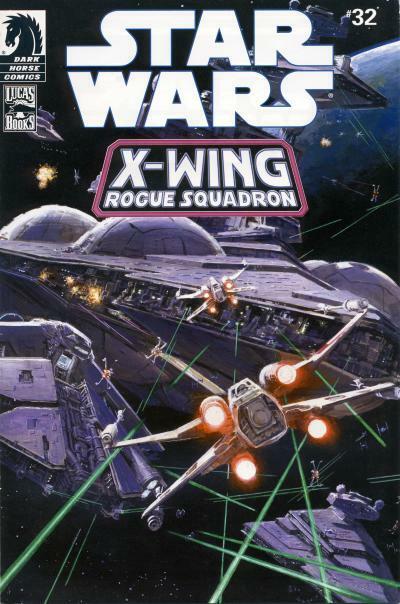 If Poe Dameron can find a sales floor above 50,000 units, this title will be a success for Marvel. We should know in the next couple of months. As expected, Han Solo #1 was the top selling Star Wars title in June. The Princess Leia, Lando, and Shattered Empire mini-series debuted with stronger numbers, but the Chewbacca and Obi-Wan & Anakin mini-series had weaker numbers. Overall, Marvel has to be happy that Han Solo has bucked the trend of each subsequent mini-series selling less than the previous mini-series. This title has received praise as the best art on a Star Wars title yet; in fact, George Lucas has reportedly purchased the original art for this mini-series. It will be interesting to see if these good positive reviews helps this title maintain sales. 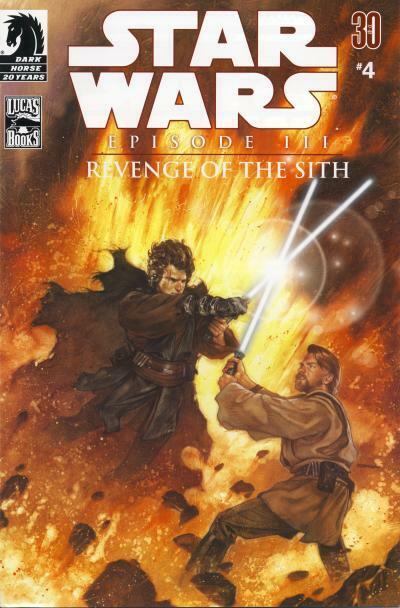 The Force Awakens initial issue sold much better than the first issue of Attack of the Clones and Revenge of the Sith, but less than The Phantom Menace. Several factors differentiate this adaptation from the previous adaptations however. 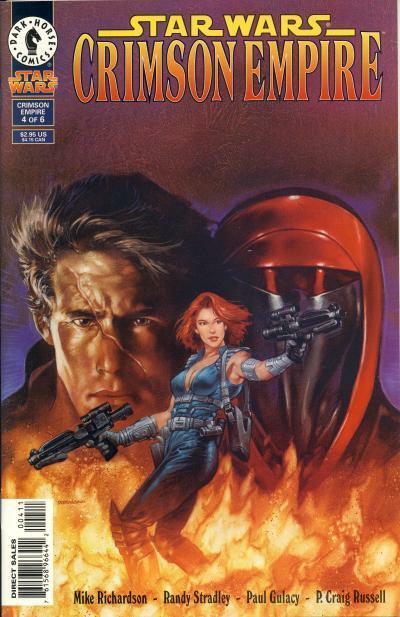 Dark Horse published the previous mini-series a month or two earlier than the movie's release date and a trade paperback was released the same week as the first issue. Additionally, Dark Horse didn't wait a month between publishing issues, they were scheduled to be released weekly. 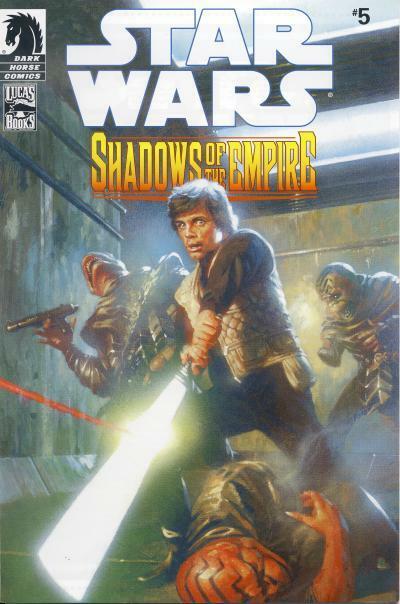 Because of the tight scheduling, the units sold for the Dark Horse mini-series were very similar throughout the mini-series and Marvel seeing similar unit sales for The Force Awakens mini-series is questionable. 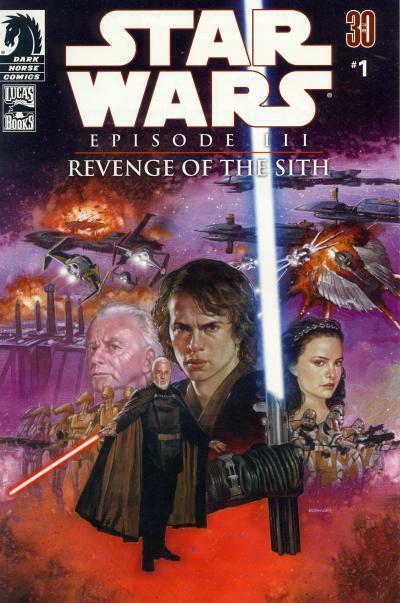 Marvel also published far more variant covers to achieve the sales for The Force Awakens, where Dark Horse had two covers for the first two prequel adaptations and only one cover for the Revenge of the Sith. The average sale per issue would rank 17th on the top 300 chart for the month of June. Star Wars trade paperbacks are selling well and reorders remain strong but are not accounted for with these numbers. 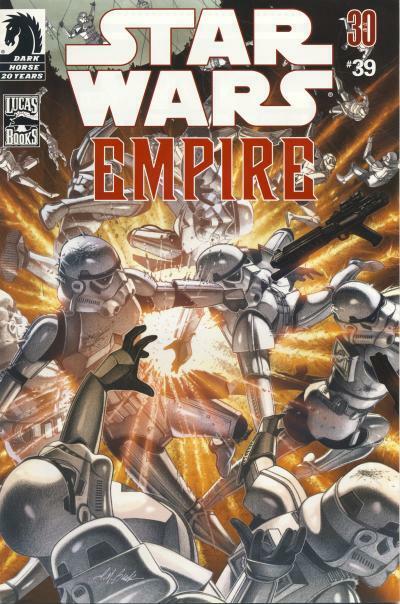 Take a look at the Star Wars Sales Estimate Chart and please read the blog posting Civil War II #1 sells 381k copies, Batman #1 280k; June comic unit sales best since 1997. 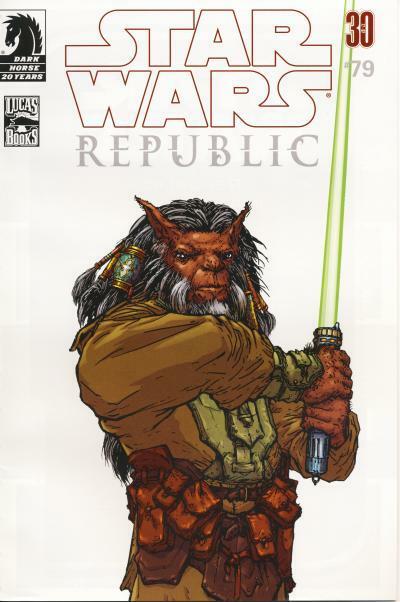 The Comics Chronicles has their initial sales information up for July 2016 and this is the first month since Marvel reacquired the Stars Wars license that no Star Wars title has cracked the top 10. 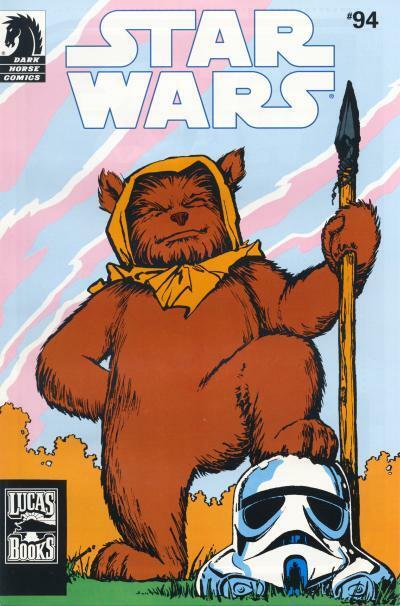 While symbolic, without the unit sales estimates, we don't know how the Star Wars titles fared for the month. 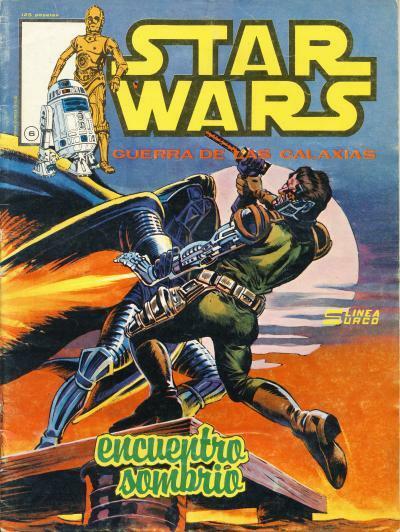 Like Boba Fett and other characters who debuted in The Empire Strikes Back, the first comic appearance of Lando Calrissian was not in the pages of a pamphlet-sized comic book. 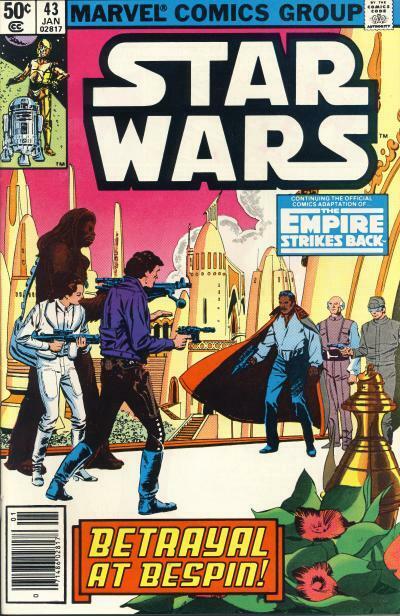 The first appearance of Lando Calrissian was in the paperback-sized Marvel Comics Illustrated Version of the Empire Strikes Back. 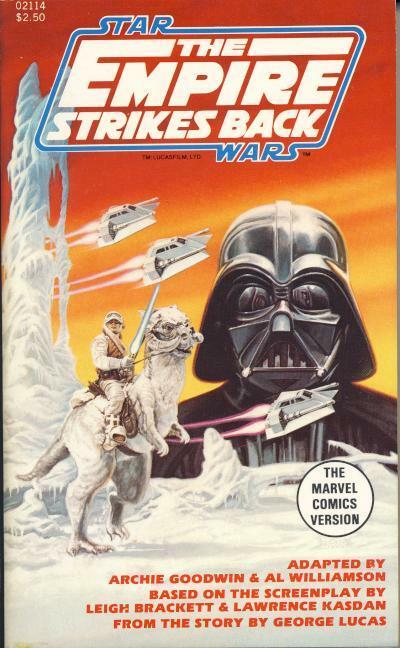 This art is used again in the magazine-sized Marvel Super Special #16 and the treasury-sized Marvel Special Edition #2: The Empire Strikes Back. 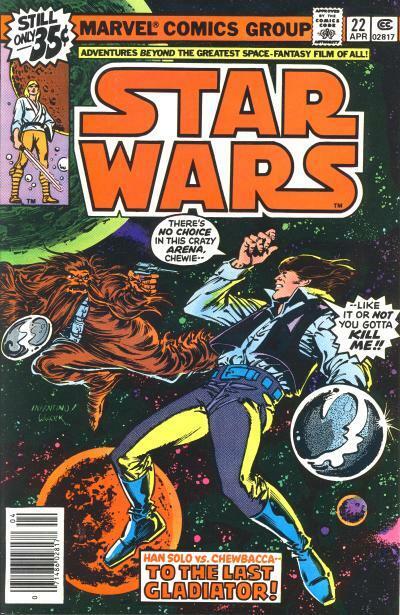 The first appearance of Lando in a traditional comic book is Star Wars #43 with a cover date of January 1981. 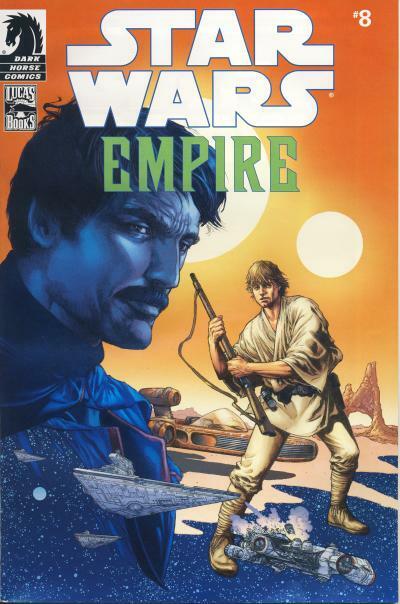 This comic contains the 4th printing of the art containing Lando Calrissian in the U.S. I love how everyone has their gun out on this cover! The Cloud City background looks like a city found in the Flash Gordon comic strip whereas the interior art more closely resembles the Cloud City look from the movie. 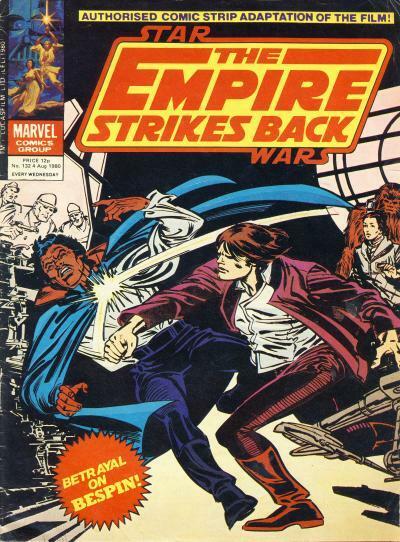 Lando appears on several foreign comic book covers before his first cover appearance on Star Wars #43 in the U.S. His first cover appearance is on the British The Empire Strikes Back Weekly #119. 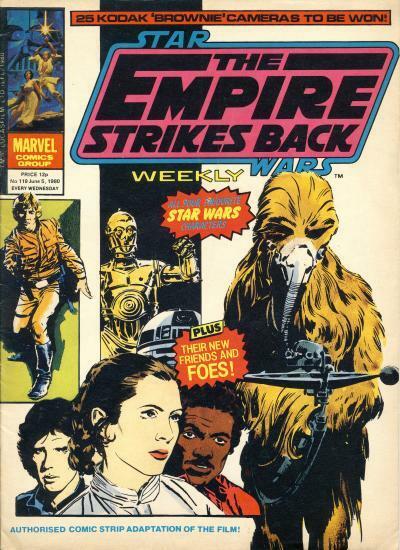 The Empire Strikes Back Weekly #119 only contains a head shot of Lando which is taken from the splash page of Star Wars #43. 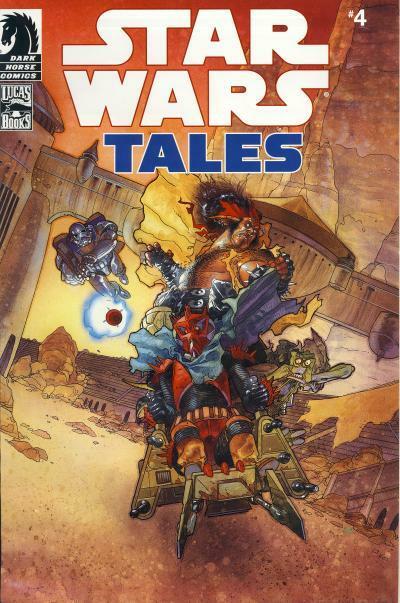 The cover blurbs reads All Your Favorite Star Wars Characters followed by Plus Their new Friends and Foes! 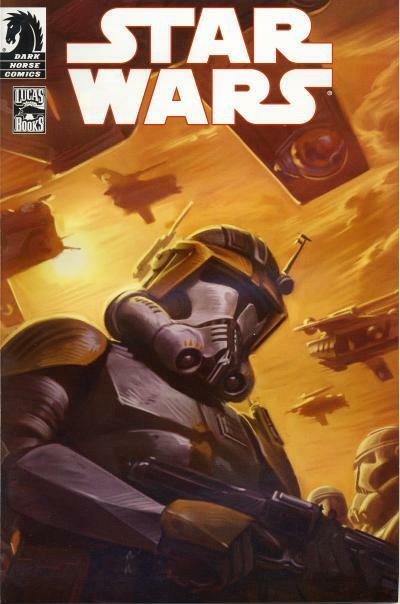 Since Lando is the only new character shown on the cover, this must be foreshadowing for the events to come in the story! 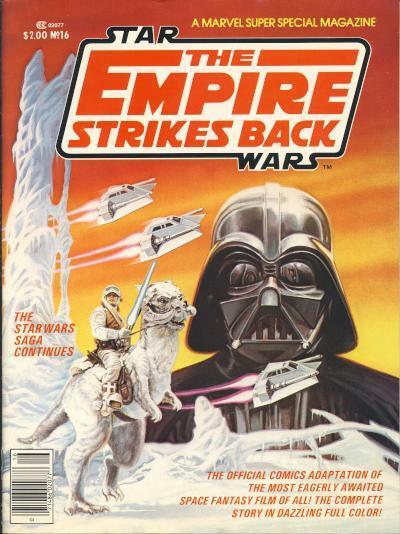 Another comic that pre-dates Star Wars #43 that has a more prominent Lando Calrissian cover appearance is The Empire Strikes Back Weekly #132. On this cover, Han Solo is decking Lando for betraying them to the Empire while Leia and Chewbacca look on. Additionally, it looks like either Imperials or Cloud City Security is overseeing this mishap. 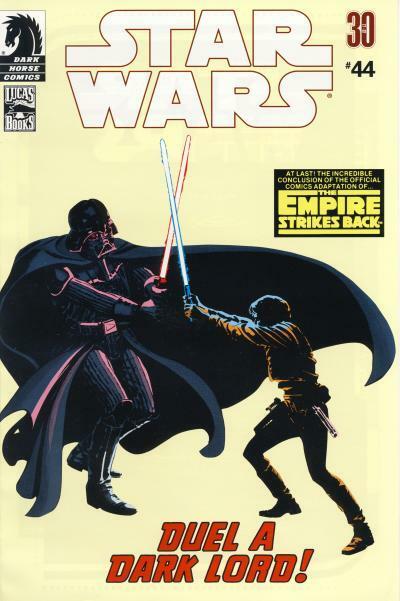 This cover, along with many of the covers on the British The Empire Strikes Back adaptation, is original art provided by Carmine Infantino. 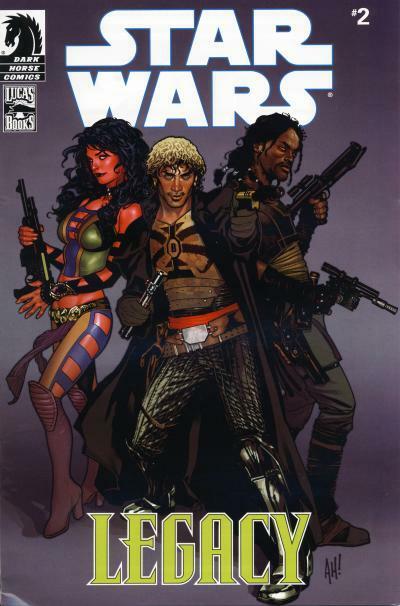 While we are seeing a ton of information about movies lately like the new Rogue One trailer just released and the Han Solo anthology movie looking for a young Lando Calrissian, there has been a dearth of Star Wars comic news. While Marvel has been quiet, there was some news from Disney-Lucasfilm Press at San Diego Comic-Con that new comic adaptations of the prequel movies and The Force Awakens are forthcoming along the lines of the Star Wars: The Original Trilogy - A Graphic Novel that was published earlier this year. Chances are these will be released in overseas markets first, and at least the prequel adaptation will be collected. 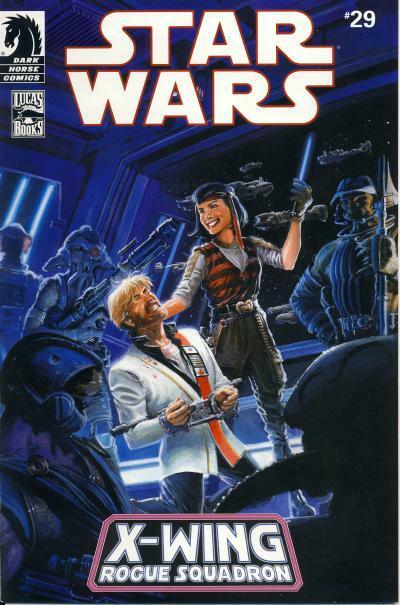 Visit the official Star Wars website's article: Reimagining a Saga: How Disney-Lucasfilm Press Made the Beautiful Star Wars: The Original Trilogy - A Graphic Novel to read and see more! The article shows six pages from The Force Awakens adaptation and they looks every bit as nice as the material already published. In the Silver Age of comics, it was common for an issue to have a cliff hanger ending with the "death" of a hero, only to find out in the subsequent issue the character didn't actually die. For a villain, the "death" usually lasted a little longer because a hero has a revolving cast of enemies, but ultimately even villains reappeared alive and well, usually with a new reason to hate the hero. As stories matured moving into the Bronze and Copper Ages, death took on a more permanency for some characters. An early death that had an impact on readers was Gwen Stacy being pushed and breaking her neck in Amazing Spider-Man #121 (June 1973) at the hands of the Green Goblin. Jean Grey sacrificed herself in Uncanny X-Men #137 (September 1980) to prevent the universe's destruction by the Phoenix. Elektra was killed by Bullseye in Daredevil #181 (April 1982) setting up a new status quo in Daredevil for years to come. Also in 1982, The Death of Captain Marvel was published, with the space faring Captain Marvel succumbing to cancer by the story's end. The final chapter in the Judas Contract in Tales of the Teen Titans Annual #3 (July 1984) shows Terra betraying the Teen Titans but killing herself as she knocks a mountainous base down onto herself. The Flash, Barry Allen, died in Crisis on Infinite Earths #8 (November 1985) heroically. Villain Kraven commits suicide in part 5 of the Kraven's Last Hunt story in Amazing Spider-Man #294 (November 1987) after proving his superiority to Spider-Man. Readers voted to kill the then current Robin, Jason Todd, in Batman #429 (January 1989) who is beaten to death by the Joker. While most of these death's have been reversed over the years, all of them were originally written to be the final story for the character. In the modern era where many creator's do not invent new characters for the main publishers Marvel and DC, these publishers have resorted to not only reviving many of these deceased characters but also killing and reviving other characters to increase sales. The Death of Superman story from 1992 was written to increase readership for the Superman titles, but it was planned by DC to bring the character back. This same knowledge went into more recent "deaths" like Colossus in Uncanny X-Men #390 (March 2001), Thor in Thor #85 (October 2004), Captain America in Captain America #25 (April 2007), Peter Parker in Amazing Spider-Man #700 (December 2012), Wolverine in Death of Wolverine #4 (October 2014), and Batman and Joker in Batman #40 (April 2015). Most seasoned readers of comic books know popular characters that are killed will be revived eventually. For readers new to comics who are not jaded by deaths in stories however, the death of a character, however brief, can be a tumultuous experience. 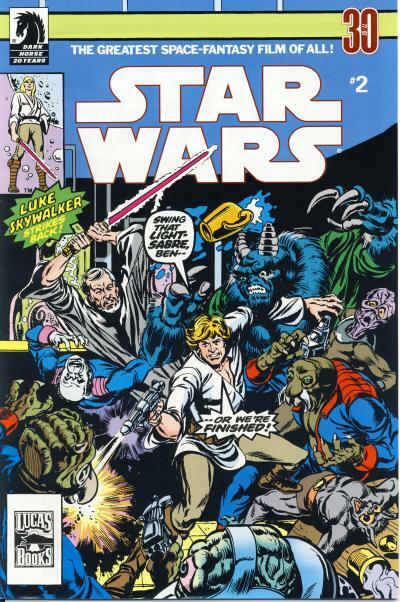 I know that was the case for me when I first read Star Wars #22. To the Last Gladiator! starts with Han Solo and Chewbacca both being forced to participate in a duel aboard the gambling establishment The Wheel. They assist each other while fighting other contestants in the zero gravity arena. While watching the game, Imperial Commander Strom is congratulating Senator Greyshade for the duplicity of getting Han and Chewbacca to both participate in the contest, but Strom is knocked out by a sedative put into his drink by Greyshade. Meanwhile, Luke Skywalker, Princess Leia, C-3PO, and R2-D2 make their way to the hangar bay where the stolen profits are being transferred to Greyshade's private yacht. A firefight between Greyshade's security guards and our heroes breaks out, but Greyshade intercedes and explains his plan. He intends to betray the Empire and release Han, Chewie, and Luke, in exchange for Leia accompanying him on his yacht in the hopes of getting her to fall in love with him. Meanwhile, we see an impatient Darth Vader on an Imperial Star Destroyer racing toward The Wheel. Back in the arena, which is being watched by our heroes and Greyshade, only three contestants are left, Han, Chewbacca, and an alien Tyluun Night-Soarer. Han explains Chewie has the best odds against the Night-Soarer and there can only be one winner. 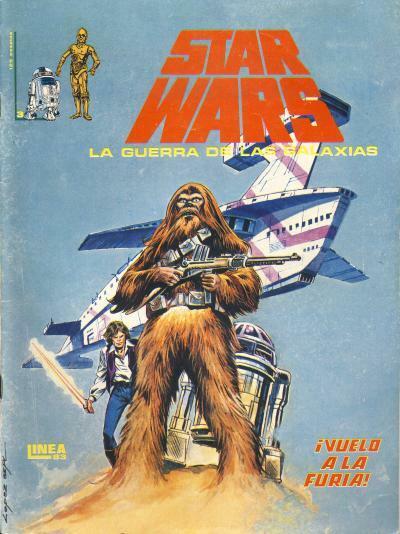 After exchanging glances, Chewbacca shoots Han while a startled Luke and Leia watch. An angry, distraught Leia promises Greyshade she will go along with his scheme if he'll free her friends. Han Solo: There can't be two winners in this so called game, ol' buddy -- and you stand the best chance of comin' out on top against that Night-Soarer! Particularly since I've taken out the last death trap so he can't trick you into it! You understand, ya big furball? There's no choice! You gotta blast me ... and do it fast! Dammit, Chewie ... shoot! Caption: They stare ... long-time companions, inseparable partners, sharing last, unspoken thoughts. Then Chewbacca does what he has to do. Today, such a story wouldn't resonate since Han's destiny is to die at the hands of his son. But for a 10 year old boy, this was a poignant moment. 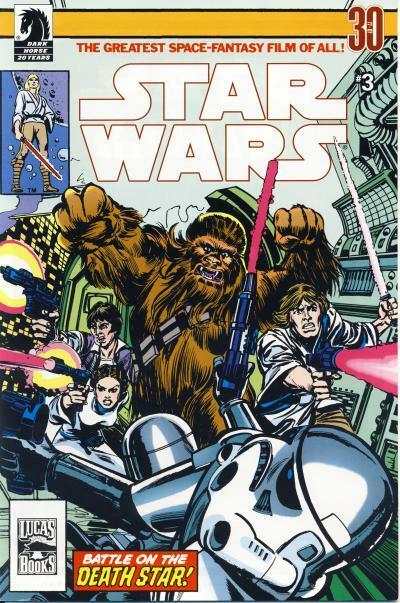 Of course, it is revealed in the next issue he is not dead, but was just a ruse by Han and Chewbacca. 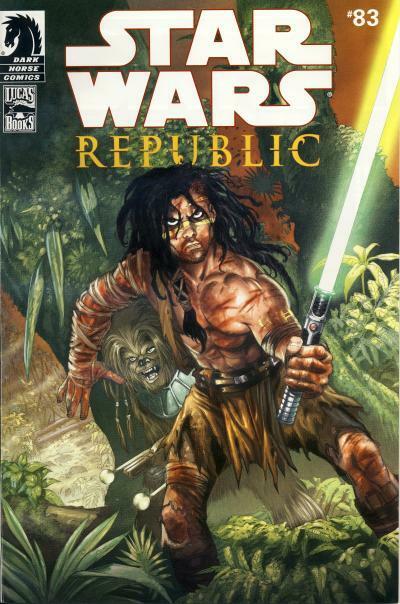 Williams-Verlag is the first publisher to bring Star Wars comics to German readers. 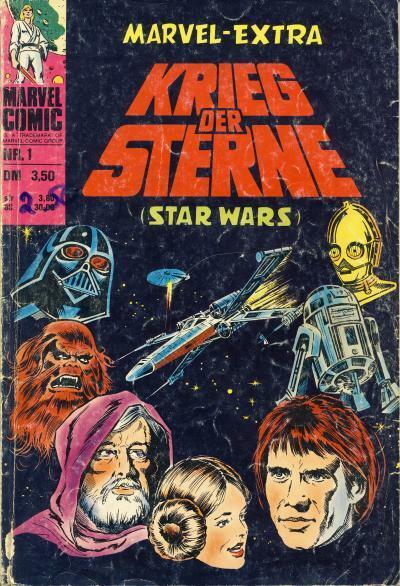 Published one month after Star Wars debut in German theaters, Krieg der Sterne #1 and 2 are 60 page magazine-sized comic with each issue containing half the movie adaptation from Star Wars #1 - 6. 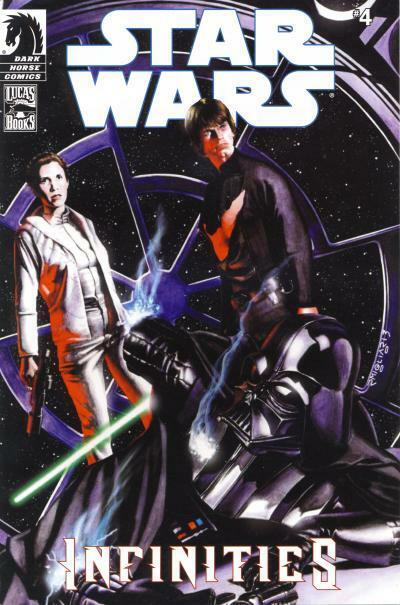 Issue #3, the final issue of the series, is 68 pages long and contains Star Wars #7 - 10. Several pages were excluded from this third issue to fit four 17 page U.S. comics. Krieg der Sterne #1 and 2 are priced at 3.50 deutsche mark while the larger #3 is priced at 4.50 deutsche mark. 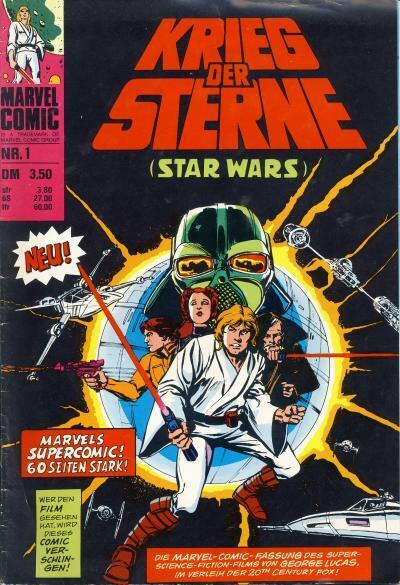 Six months after the final issue was published, the three comics were collected into a bargain-priced comic titled Marvel-Extra Krieg der Sterne #1 for only 3.50 deutsche mark. 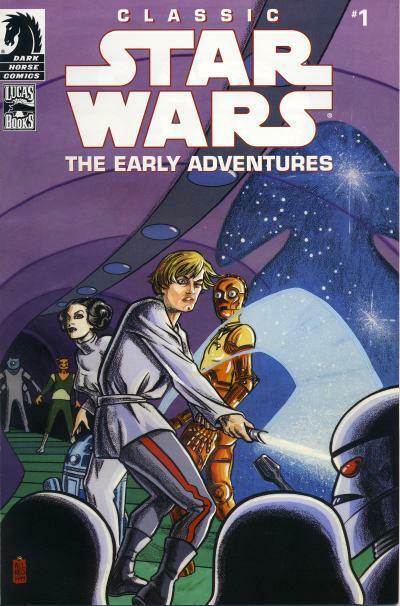 This collection contains the three complete comics, including covers, inside a new cover wrapping. Like many foreign countries, it is probable these were returned issues bound into the collection. 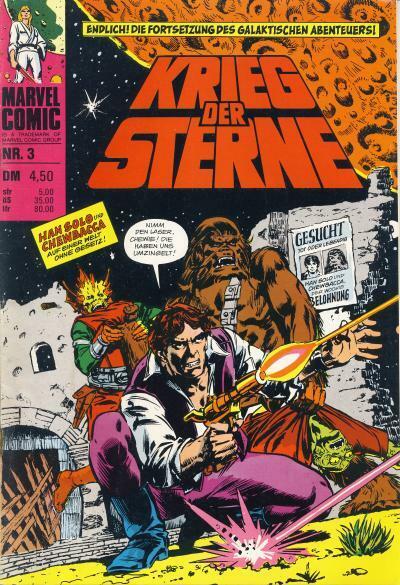 Krieg der Sterne #1 uses the same cover as Star Wars #1. 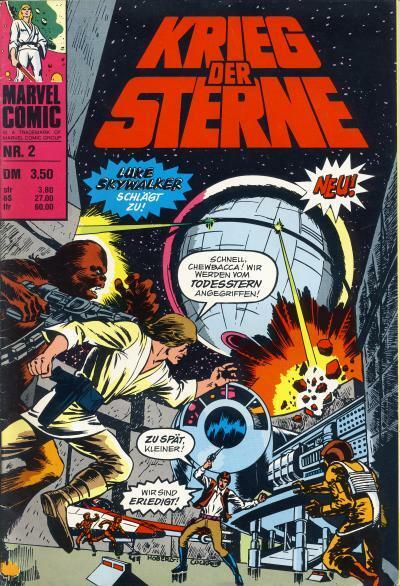 Krieg der Sterne #2 uses the same cover as Star Wars #5. 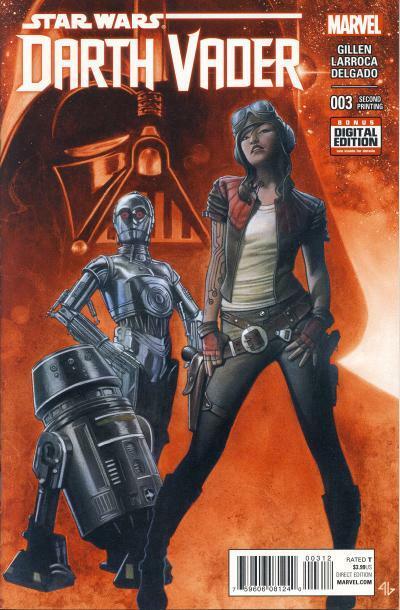 Krieg der Sterne #3 uses the same cover as Star Wars #7. Marvel-Extra Krieg der Sterne #1's outer cover contains new art not seen in U.S. comics. Heavy paper stock was used making each issue heavier than expected. Because of the large magazine size, finding high grade copies is harder than finding high grade copies of the U.S. issues. I'm hoping some of you enjoyed the two new categories of postings I added back in late February, Cover Artist and Dark Horse Comics Year-by-Year. 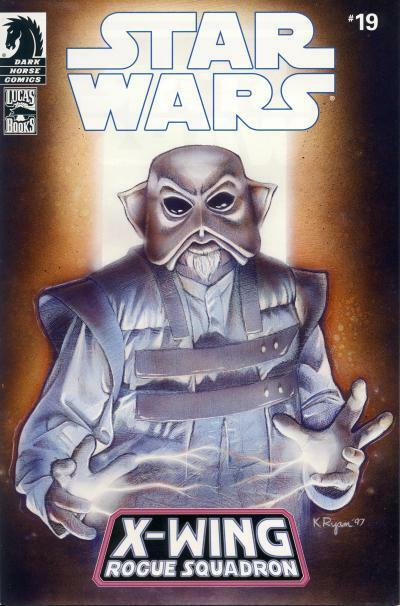 I'm going to use the Cover Artist postings to feature popular artists that have contributed artwork to Star Wars covers. 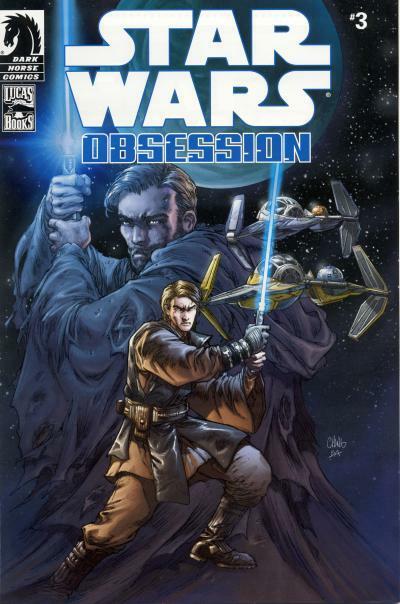 I have already featured Mike Allred (who has since contributed covers to the Han Solo mini-series currently being published), Gabrielle Dell'Otto, J. Scott Campbell, Arthur Adams (another artist who has a recent cover for The Force Awakens #1), John Byrne, and Bill Sienkiewicz. I've started articles for Drew Struzan and Adam Hughes. The Year-by-Year postings are a way of looking at the output of comic publishers on a yearly basis starting with Dark Horse. 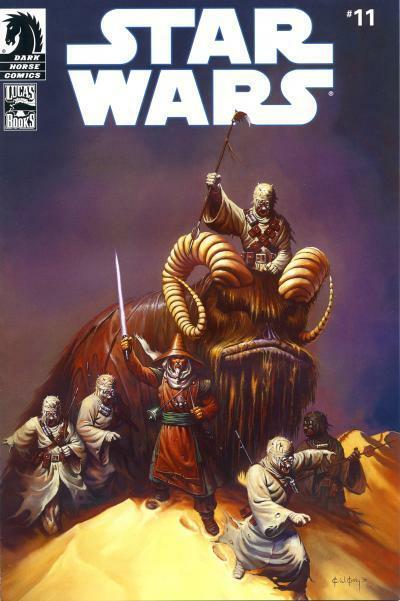 I find it fascinating how Dark Horse started with a trickle of Star Wars comics and ramped up to publish a massive number of Star Wars comics over time. I have year-by-year analysis for 1991, 1992, and 1993 published and 1994 is in draft form right now. 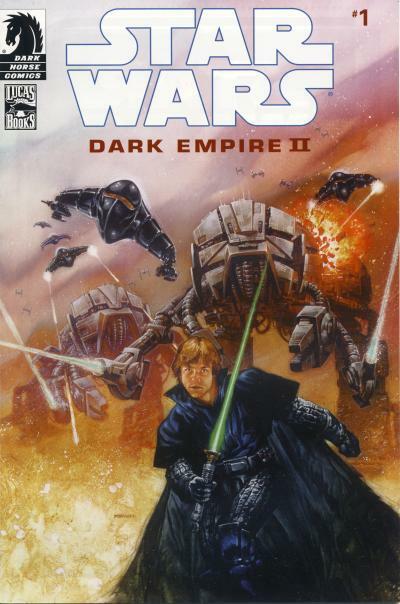 Dark Horse published 34 Star Wars comics in 1994, over double the number of comics they published in 1993! Since articles for these two categories require more research than a typical posting, they are more time consuming to put together, but I'm hoping they are a worthy addition to the other content in this blog. 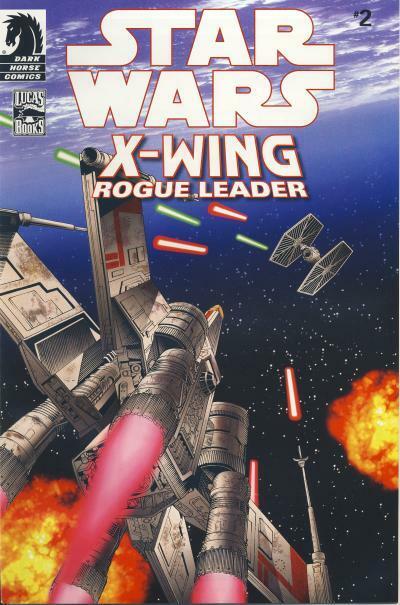 Rogue One is quickly approaching and, like last year, I have plans for another Speculation Spotlight featuring comics to watch before this movie is released. I had a lot of fun putting together Speculation Spotlight: 7 Comics to Watch When The Force Awakens and I suspect Rogue One will be equally as fun. 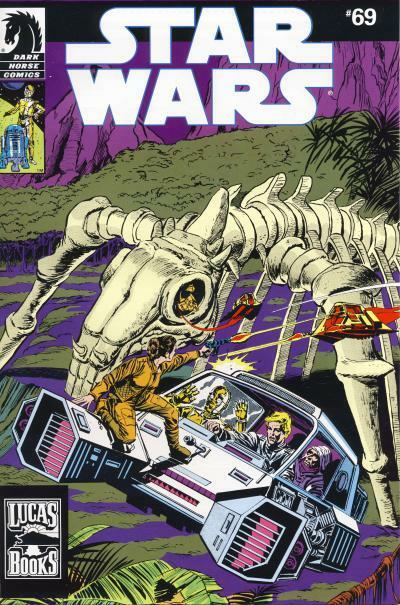 I also like to look at upcoming Marvel Star Wars comics and dig up information on past Star Wars comics that are tangentially related. 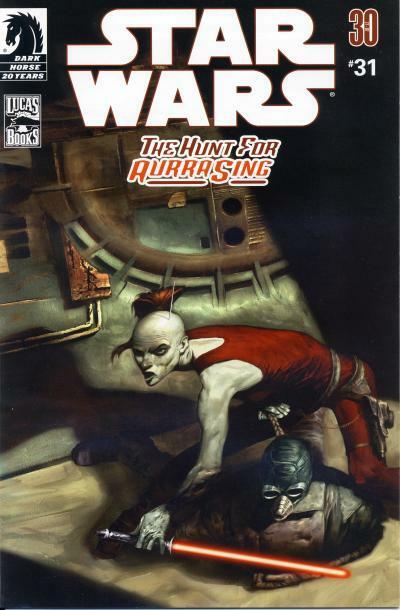 For example, the Rebel Prison story features a facility in close proximity to a sun which is reminiscent of the tale in Star Wars #58. I also have plans for First Appearance articles for Jabba the Hutt (both versions) and Lando Calrissian, who was conspicuously absent from The Force Awakens. 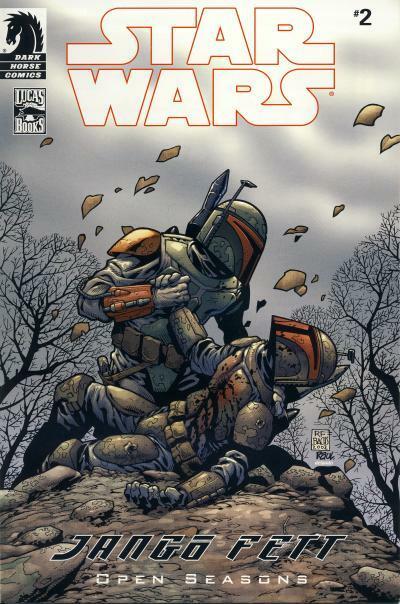 The posting with the most hits on this site has been the one concerning Boba Fett's first appearance. I finally have the U.S. and foreign cover galleries caught up. Every comic cover featured in a blog posting now is shown as a thumbnail in the gallery. You can click the image in the gallery to get a larger picture, hover over the larger picture, and all the postings that comic is in will appear and are clickable. I'm concerned that these two pages might have too many images and will probably break these down into other pages over time. Please let me know what you think. Because of the time needed to update these pages, I'll probably wait until I have 3 or 4 new blogs before I update the galleries. Hopefully in a few years these galleries will start getting filled out nicely. It is still my plan to bring back the Trending page which was very popular. My current thoughts are to contribute new information quarterly, rather than monthly. I also have been thinking about adding a checklist page. I like the idea of having checklists that can be printed out (maybe in PDF format.) I also think it would be cool to have a complete checklist of all the new Marvel titles including a complete list of variant covers. I cannot be the only one who has noticed new variant covers, like the Poe Dameron #1 Calgary Expo exclusive or Han Solo #1 Scholastic Reading Club exclusive, popping up all the time. 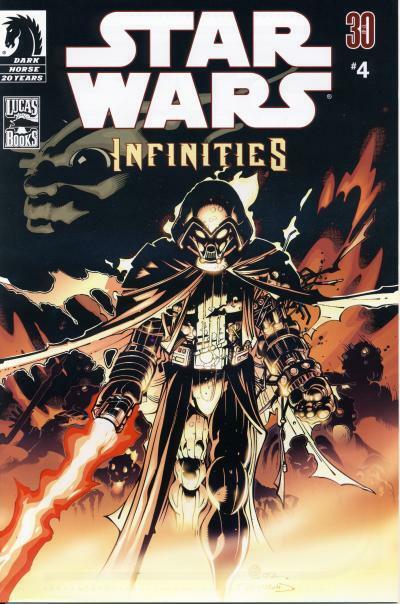 Plus it would be nice to note major milestones, like when Marvel publishes their 1000th Star Wars cover! I have ambitious plans for this site and it would be nice to hear from the readers what is working and what is not working. I'm also contemplating seeking out help from others who wish to contribute postings or other features to this site. Please let me know and stick around for more cool content! 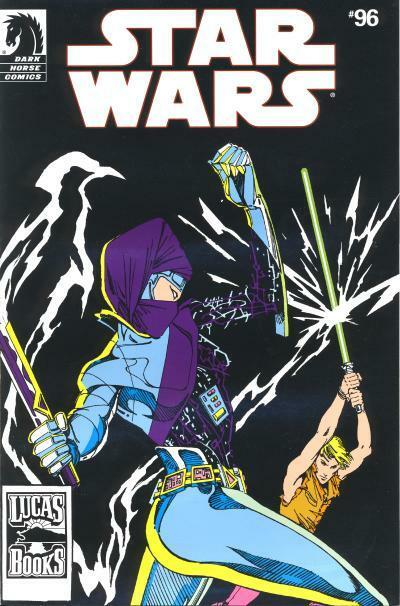 Hasbro released the first Star Wars Comic Pack as an internet retail exclusive in September 2006 and new waves of these toy packs were released every few months for four years. 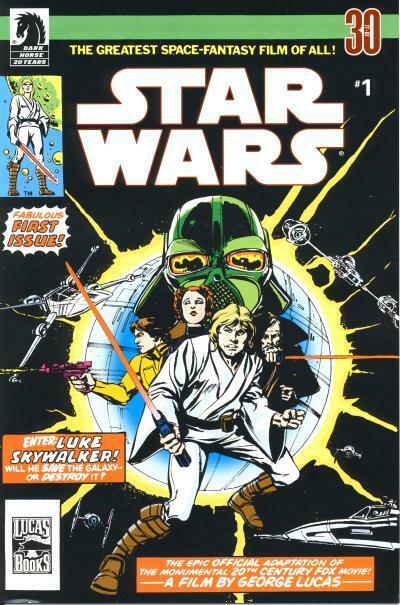 Each Star Wars Comic Pack contains two Star Wars action figures and a reprint comic published by Dark Horse. 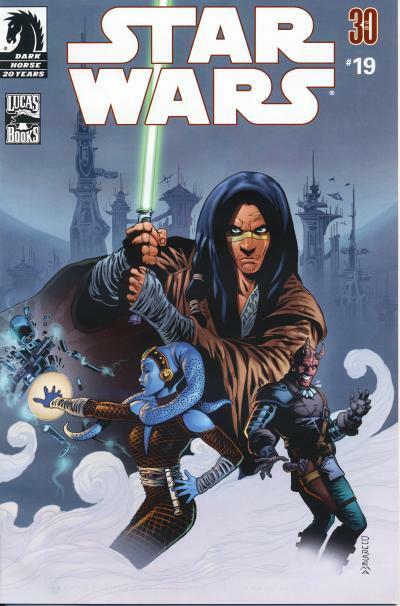 The final four Star Wars Comic Packs were exclusive to Entertainment Earth and began selling in November 2010. 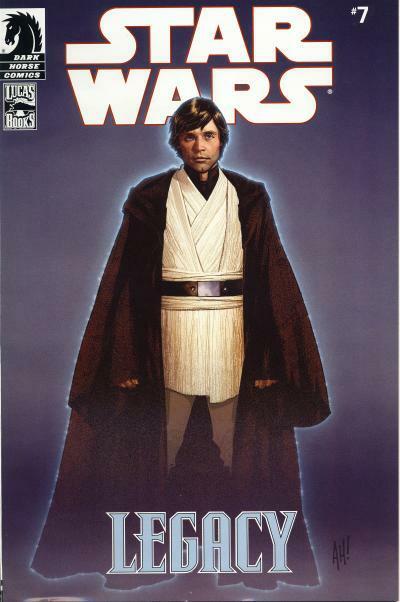 Altogether there are 57 different Star Wars Comic Pack issues plus 1 variant for #11. The issues released are #1 - 49, 51 - 56, 59, and 75. 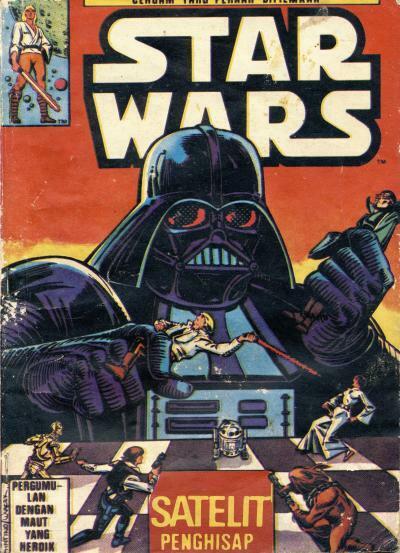 Star Wars Comic Pack #50, 57, 58, and 60 - 74 do not exist, but it is clear Hasbro had plans for more of these packs. This popular toy line was cancelled to make way for the Star Wars Vintage Collection, a line of action figures and accessories that contained packaging reminiscent of the original Kenner Star Wars action figure toys. The first 19 packs retailed for $9.99, but in 2008 the packs increased in price to $12.99. The Entertainment Earth exclusives retailed for $17.99 and both the Star Wars Celebration V and San Diego Comic-Con exclusives retailed for $14.99. If you are trying to put together a set of these comics by buying them in the packaging with the figures, it would cost you over $700 at retail prices. Most of the comics can be found individually for around $2 - 4 with the exception of #47, 49, 55, 56, 59, and 75. I would think a set of all 58 issues would cost anywhere from $125 - 150 today, a fraction of the price it would have cost to put together a set at retail.